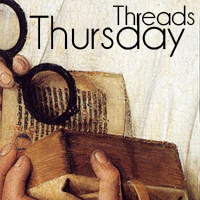 Historical Tapestry: Thursday Threads - Inspired by Fiction? Thursday Threads - Inspired by Fiction? The County library service has for the last few years selected a "Summer Read". 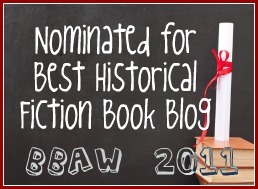 This year, the book of choice is The Light Between Oceans by M. L. Stedman. When I was at the book group a week or so ago, I was handed a copy in response to my reservation. I started the book a day or so ago and love it. I can see why it has had some great reviews and one will be published here soon. Do you find yourself inspired by fictional reading? This has been on the TBR practically since it was released. I'm not sure why I haven't gotten to it yet. Yes, I often find myself googling, both during the read and when the read is complete, to learn more about the subject. My fingers were really flying as I read The Aviator's Wife by Melanie Benjamin.